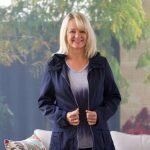 You are here: Home / Fashion and Beauty / How to choose Travel Clothes and Rock It! When it comes to packing for a holiday I’m a bit of a ditherer. A pile of mostly unsuitable clothing gets dumped on the spare bed and over a couple of days pieces are eliminated until I have a capsule wardrobe of almost passable travel clothing. Of course I’d like to get off a plane wearing kitten heels, dark glasses and a Prada ensemble (or similar) and have in my suitcase other stylish get-ups to see me emulating a Hollywood style icon as I swan in great gorgeousness through an exotic holiday. Why choose a show pony? BUT real life’s not really like that, is it? If you’re anything like me, you want to feel comfortable on journeys. When I trot into the arrivals hall after a long flight I want shoes that will be kind to my swollen feet and ankles. When I’m marching up a whole lot of steps to a fort look-out I don’t want to get blisters, nor do I want clothing which is too tight or constricting over which my ample midriff hangs. Dark glasses at the airport – hrmph! With my dodgy eyesight I need to see where I’m going when I reach the elevator with an overweight suitcase. And as for the designer wear, if there was any Dash in my stash, then it would be cossetted in my cupboard back home waiting for the ‘right occasion’. I know, I know, we shouldn’t do that, should we? So when W Lane invited me to choose some travel clothes as the basis of my going-out-togs for my trip around Europe I decided to challenge my aging and rather careless style outlook. Yes, I braved taking my trendy daughter along with me, and she suggested that I base an outfit around a gorgeous lightweight (no need for ironing) jade jacket. Jade! Ker-rikey! A bit bright wasn’t it? But what a great move it was. And the outfit was my go-to smart choice when I needed to spruce up a bit. As a show pony piece it gave me the option to team it with both smart and casual items on holiday, and then when we returned from our Expat Explore adventure around Europe and the Bike Cruise in Croatia with Katarina, I teemed it with lots of different things from a wider choice of clothes in my cupboard. I found I could wear it with blue jeans, and skinny black jeggings, over a pretty summer dress which had the colour jade running through it, and I could wear it with my indigo cut-off pedal pushers. The colour goes really well with both navy and black. 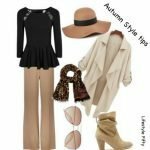 I’ve become really fond of W Lane clothes because increasingly I find that they cater to older women who want to look smart but also demand a fair amount of ease about their clothing, and what I particularly like on the website is that if you select a particular item, then matching pieces will be suggested to go with it. 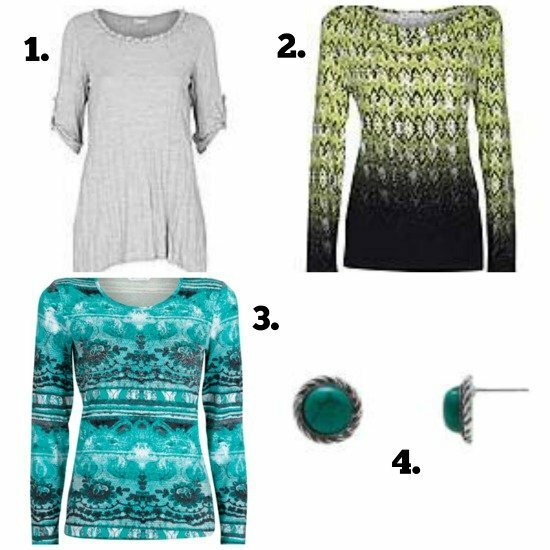 Here are some current items which I think would make great travel clothes and the colour Jade seems still very much ‘in’. Check out the W Lane Website for more options. And below are a selection of tops that would maybe go well the black pants and the jackets above. 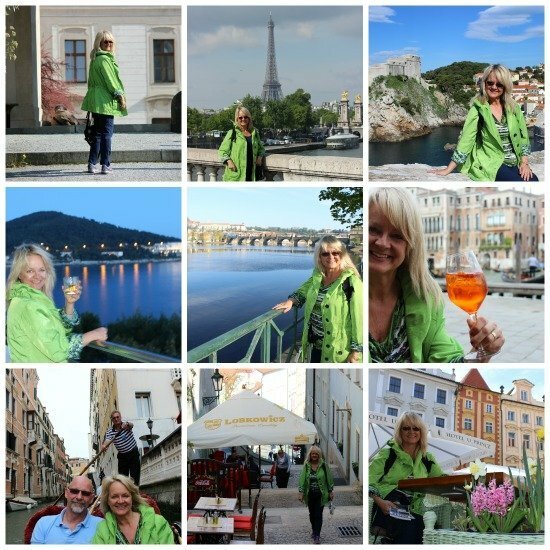 The travelling outfit I chose from the Autumn range (for Spring in Europe) was smart and comfortable, so I wore it on lots of occasions including trotting around Paris, Dubrovnik, Prague and Venice, as you can see in the photos below. Here’s what I liked, and some tips that I hope you’ll find helpful when you make your own choices. 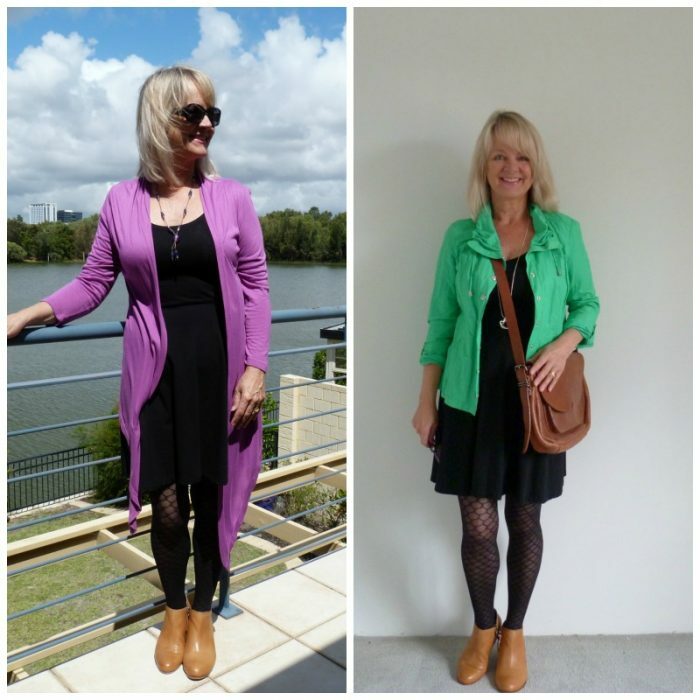 The jade jacket* was the Wow factor, and got lots of compliments but it was easy to wear and didn’t need ironing, so being rumpled up in my suitcase suited it perfectly! 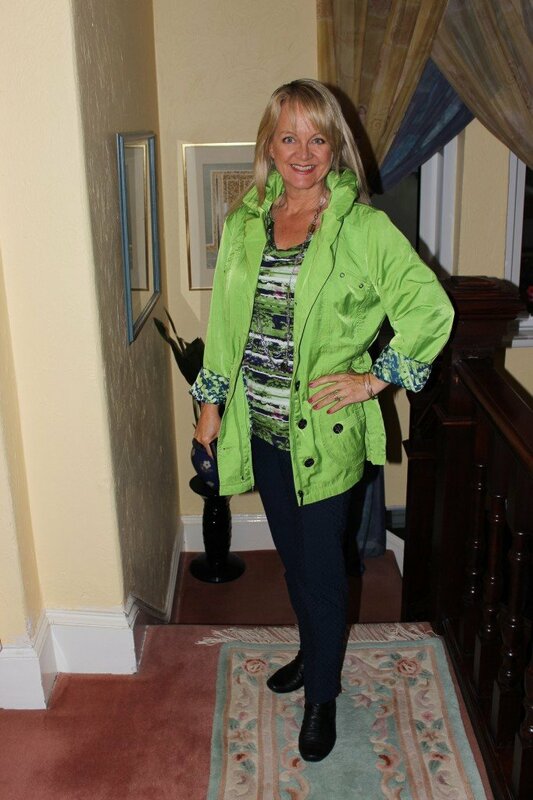 The green and navy blouse* matched the jacket and teemed up with it stylishly. The sleeves are three quarter length which means my less than sleek upper arms were discreetly covered. It’s slim fitting but not clingy which meant that a few holiday kilograms would not be a problem. Also, the cowl neckline was very flattering for spring and summer in Europe. Non-crease and I could wash it and just hang it up to dry. The string of beads* were great to dress up the outfit if I wore it out at night. Base several looks around one show-stopping item. 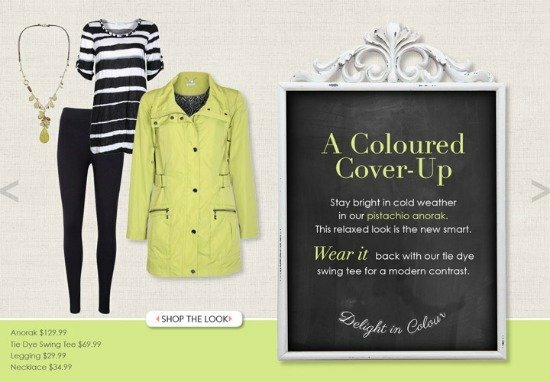 The pistachio anorak in the photo above would be great for a winter look. You don’t always have to wear the show stopping item, but when you’re bored of your limited wardrobe on holiday I think it’s nice to feel ‘dressy’ again. Take along two or three tops, and a couple of different bottoms which will go with the Wow item. Don’t forget to accessorise. Beads and earrings in matching colours to the main coloured item give a nice sparkly look for night-time. Although I don’t like scarves around my neck unless I’m cold, a scarf would be a good addition for day or night if you like wearing them. 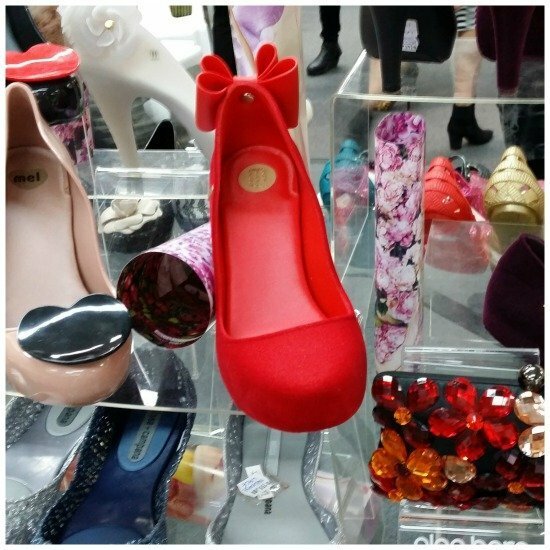 Shoes – I’m all for comfort, so I have to say pack the kind of shoes that will suit your kind of activity on holiday. For me it was trainers, sandals and a pair of ankle boots with a tiny wedge heel. 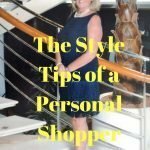 For more great tips on packing please check out this guest post I wrote for Nikki at Styling You. 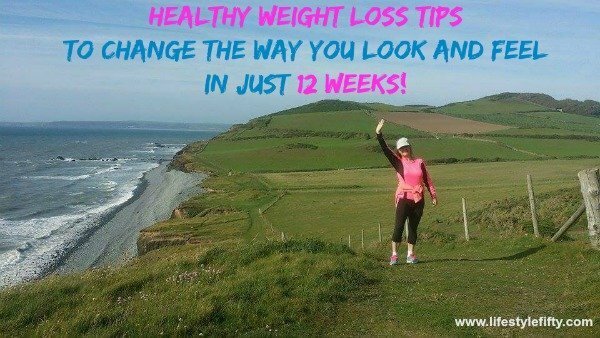 Over to you Lifestylers … I bet you’ve got some great tips of your own to add. See you in the comments! Disclaimer – Items marked with a * were supplied for editorial consideration by W Lane. Totally agree ‘s all about the ability to mix and match a few essential items. That jade jacket really does have a wow factor. I can’t think of anything in my wardrobe that’s that exciting. Perhaps it will inspire me the next time I go shopping. I’m reading this as I prep for packing for a few days in California’s Wine Country. I hope to put these tips to good use. Ohh what a shame about that no wrinkle, zip up black cardigan, Suzanne! I think matching trekking pants have their time and day though, and we too have done that! Horses for courses as they say 😉 And yep, one little LBD goes a long way with accessories. Thanks Rachel! You always look fabulous, and I can’t wait to catch up with you at Problogger. You were looking very smart on your holiday, Jo! I find choosing what to pack for a longer term trip to be a nightmare, but I get a bit better at it each time. On my most recent trip the one thing I regretted was packing brand new shoes instead of old trusty ones. 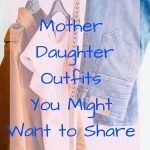 I had to wear banddaids on my heels every time I wore my new ballet flats, and my new dressy boots took about two weeks to start feeling comfortable. I did so much walking and bike riding that there were many times when I wished I’d packed some trainers, or even hiking boots! 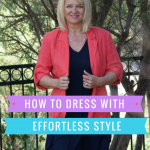 I agree it’s a good idea to choose one piece that looks smart and feels comfortable, and goes with everything else – for me it was a navy blue jacket. I can always rely on you to show me the way to style town. You look so fabulous in that jacket and outfits. Thank you Neva! I wonder if you have your own ‘show pony’ piece for travelling? We just returned from Europe and I did take a few ‘show pony’ light sweaters for England weather to drape over my ‘out to pasture work horse’ shoulders. 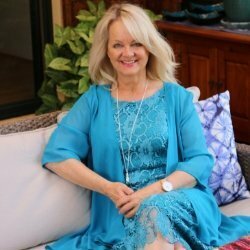 I love that jade jacket; the colour is perfect for you. I agree that comfort during extended travel is paramount. I’m always amused when I see celebs getting off long-haul flights in tight leather trousers, denims, high heels. You can’t begin to imagine how uncomfortable some of that stuff must be during the flight. Thanks Sandra 🙂 I know, they surely must travel in trakkies when they get on the plane and then change to get off? I guess they have loads of room in first class! Trouble is I’m not vain enough to and I’d never change in the tight confines of an economy class loo – eeeuw! 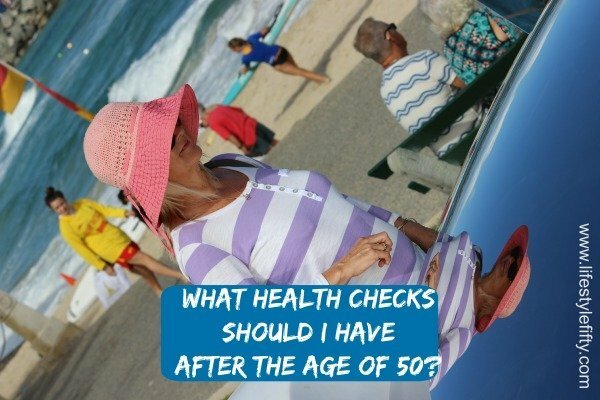 What health checks should I have after the age of 50? Fitness and exercise after the age of 50. Best ways to maintain fitness and exercise after 50. 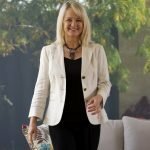 The importance of physical activity as we age, what counts as physical exercise, how much exercise do we need, top tips for building a home gym and 29 ways to fit more exercise into daily life.